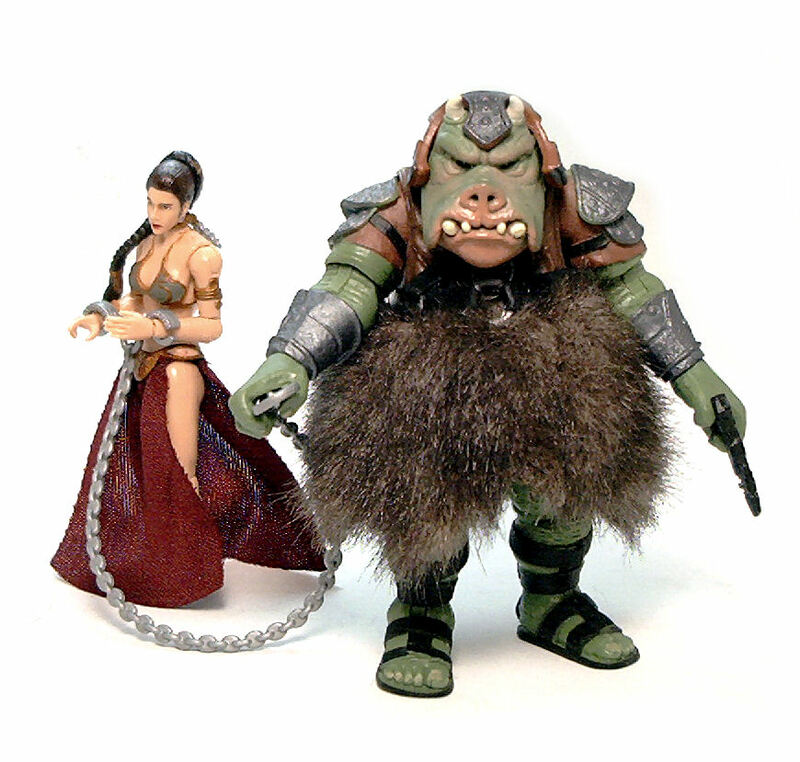 For starters, this Gamorrean boar is massive; There is no doubt in my mind that the plastic Hasbro might have saved from making Wicket was ultimately used for making this guy. Secondly, the boar is phenomenally detailed and comes with three of the weapons we see these guards use in the movie. However, this figure isn’t without some issues. First off, let’s talk about the more obvious, the plush skirt. I know that in between the prototype and production phase things can get tweaked and the end result may differ greatly from what was shown initially, but I feel the figure shown at SDCC last year without the skirt looked just great. The production-run figure keeps the same base body, but the skirt is way too fluffy and is cut a bit too long. The piece can be tweaked around, and even trimmed a little, if you feel so inclined, but for the most part I find that just twisting the piece sideways works fine for me. With that out of the way, let’s now discuss the sculpture. 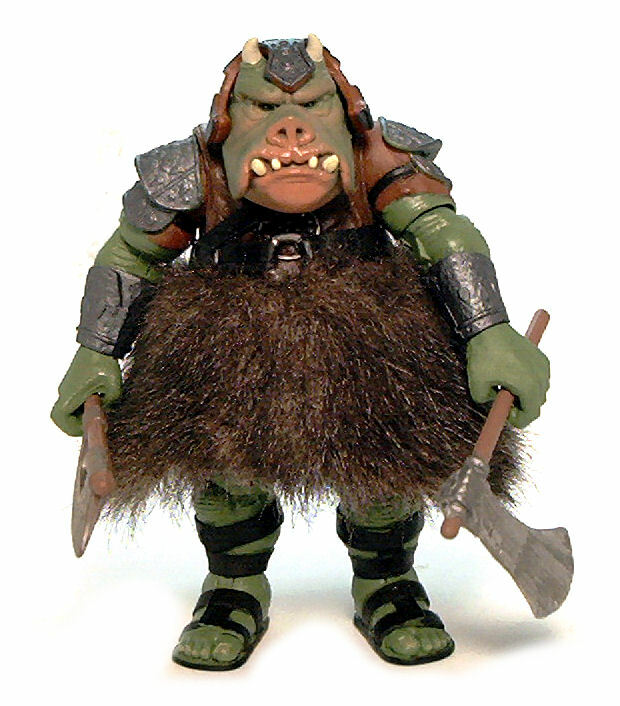 This is, hands down, the first ever figure produced by Hasbro that nails down the look of the Gamorrean Guard costumes used for the film. Both the Kenner vintage and the Power of the Force versions were good for their time, but neither of those really looked like the thugs at Jabba’s Palace. 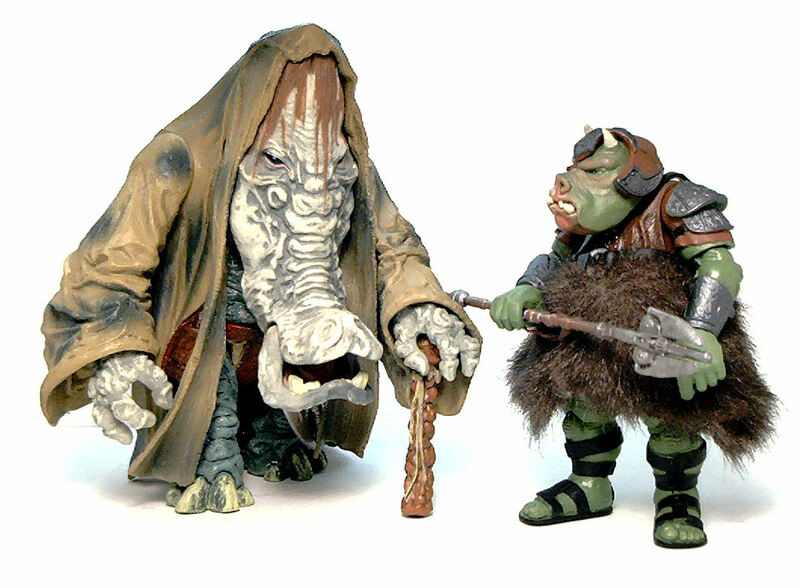 The Kenner one was rather stylized, and the POTF and Saga era versions looked a bit too fit (or fitter, at any rate). 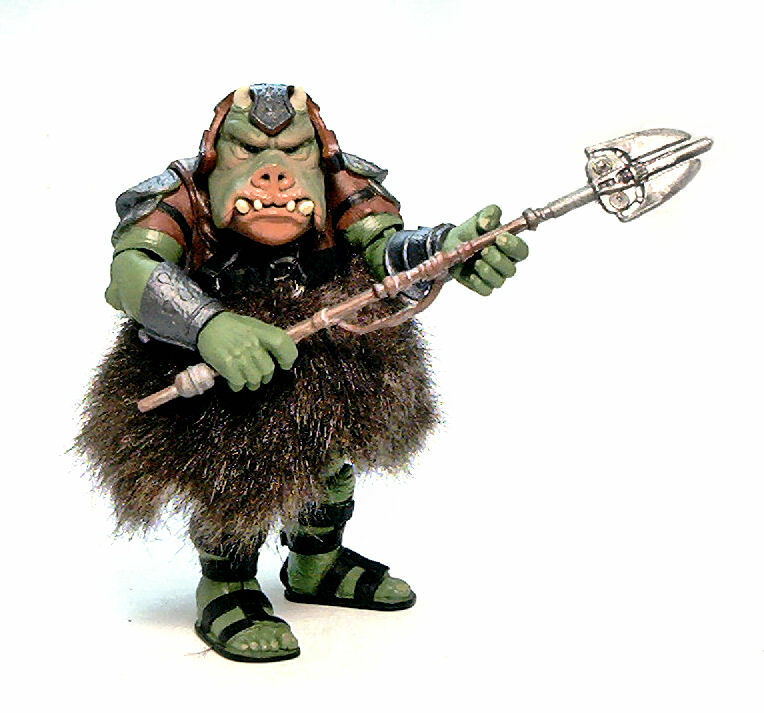 Barring the skirt, this one looks exactly like a Gamorrean Guard should, which also poses some problems. Figures this bulky are notoriously difficult to articulate in a way that is inconspicuous and fully functional. ▪ Peg & hinge shoulders. ▪ Peg & hinge elbows. ▪ Peg & hinge knees. ▪ Peg & hinge ankles. The shoulder hinges are reduced to function as simple swivel joints because the pauldron design practically negates lateral movement. The hips also have a rather limited range, but considering these guys won’t even fit in vehicles due to their size, giving them the ability to sit down would be rather pointless. 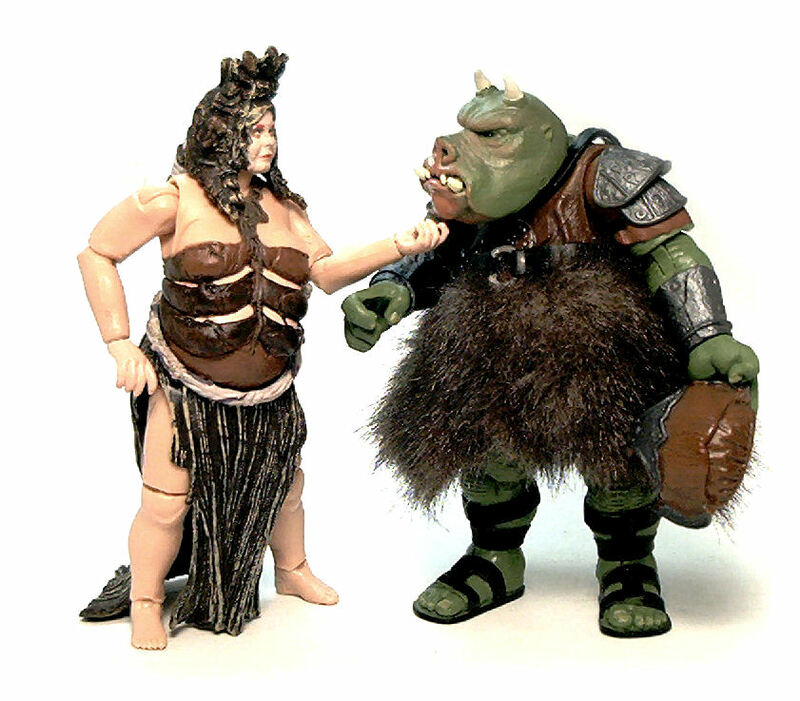 A good part of the success in portraying the Gamorrean Guard at this scale comes from the paint applications in the face. While most of the body doesn’t have complex deco operations, the Gamorrean has very subtle color gradients on the snout and around the eyes that really bring life to the character. The ruddy paint used on the snout also has a glossy finish that effectively conveys the drooling wetness of the boar’s face. 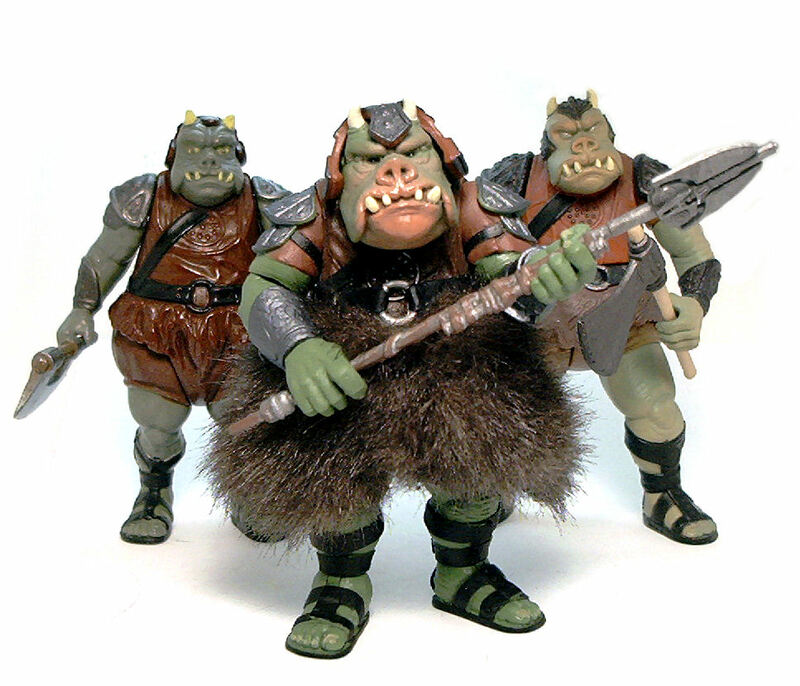 The Gamorrean Guard comes with two axes and a force pike. The axes replicate those that came with the previous versions of the figure, but the pike is offered here for the first time. Each weapon is molded from silver plastic and decorated with brown to simulate the wooden shafts and a paint wash to convey rust. Apart from the weapons, the other accessory included is a removable skullcap. The piece is rather loose, but doesn’t fly off Piggy’s head any more easily than, say, the last Vader’s helmet, so I say it’s good. 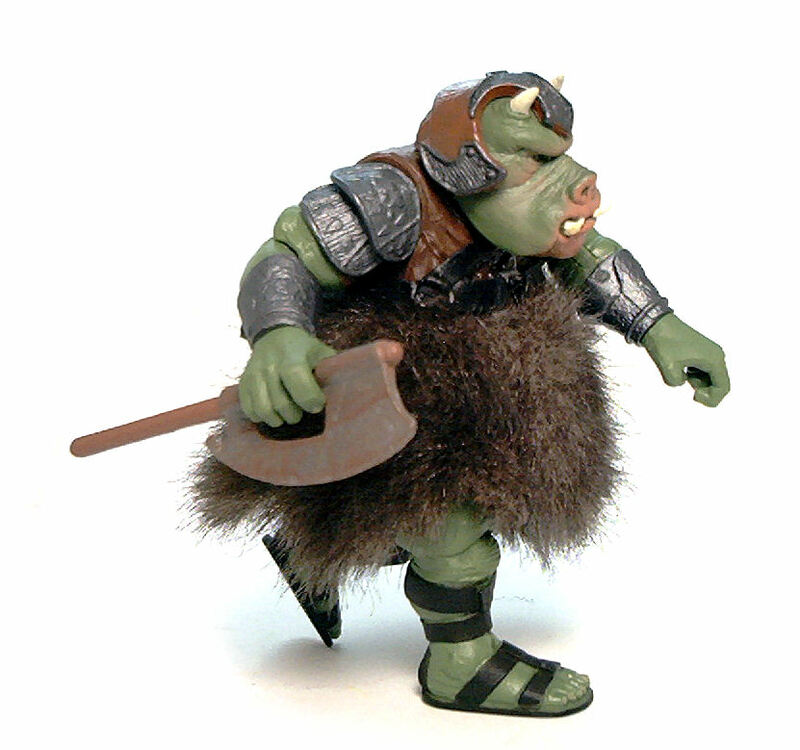 Within the constraints set by the character design, I think the new Gamorrean Guard is pretty much the definitive version and one I am glad to have in my collection. I can’t get past the fur. I wish I could, but I just can’t Here’s hoping for a sculpted repainted skirt. Well, it looks way worse in the package, but yes, I’d also like a rework on the skirt, either using a different fabric material or a soft rubber attachment. Still love this one, though. I haven’t ever seen this figure on the pegs sadly.